C&J Gravel is asking to expand 46 acres because it has run out of gravel. The expansion would require rerouting some trails in the Grandview area. A gravel mine operation near a popular trail system in Durango is seeking to expand an additional 46 acres, but recreationists shouldn’t be too concerned about losing their favorite trails. 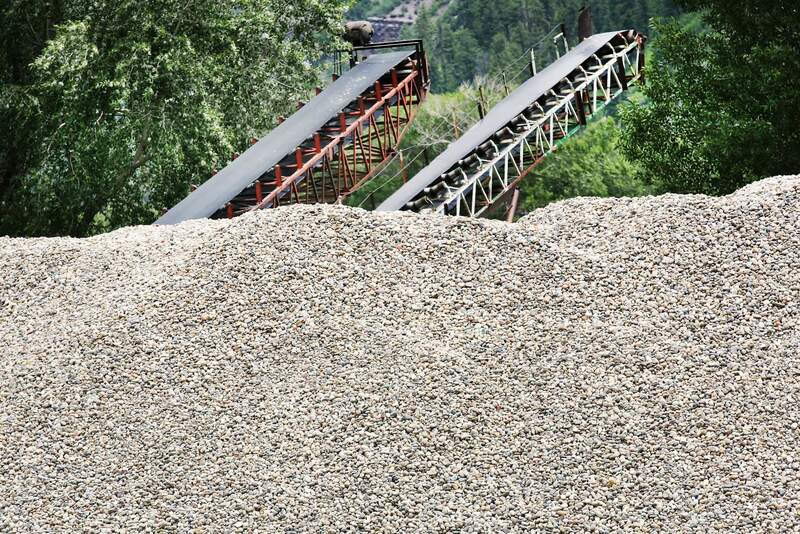 Earlier this year, C&J Gravel Products, which runs a gravel pit just south of Durango off U.S. Highway 160, submitted an application for expansion to the Bureau of Land Management. The existing 60-acre pit, located primarily on BLM land, has been in operation since 1972. C&J Gravel was granted permission in 1992 to expand onto public lands, according to public documents. John Gilleland, owner of C&J Gravel, said the 46-acre expansion would allow the company to continue operations for about 20 to 30 years, he said. The BLM is currently preparing an Environmental Assessment to analyze the potential impacts of the expansion. A public comment period ends Sept. 18. The proposed expansion of the gravel mine would affect trails in the Grandview Ridge trail system, which connects to the heavily used Horse Gulch and Telegraph trails, popular among mountain bikers. Trails such as Sale Barn, South Rim and Cowboy Trail would have to be rerouted should the expansion receive the green light. The expansion of the mine, as well as the rerouting of trails, would happen in phases over the next two decades. Monroe said C&J Gravel supports rerouting trails to the liking of recreationists, and creating new trails where possible. Trails 2000 has asked that for every mile destroyed by the expansion, another mile of trial be replaced elsewhere. Monroe said C&J’s proposal for expansion has come close to this request. “We’re asking it be replaced in a way that has similar feel of existing trails,” Monroe said. C&J Gravel also has agreed to construct a new “skills trail” at the spot of its existing pit that has run out of gravel. C&J’s Gilleland said having a gravel pit centrally located in Durango helps keep costs down for construction and infrastructure projects, such as commercial buildings, highways, roads and bridges. Many communities that don’t have a gravel mine nearby end up paying more for the hauling of the gravel than the gravel itself. Gilleland said a project at the airport in Pagosa Springs bought $278,000 worth of gravel that cost $380,000 to haul. In recent years, C&J Gravel has sold about 400,000 tons of gravel a year. Based on those projections, the expansion of the pit would keep the company, which employs about 22 people, in operation for another 20 to 30 years. Gilleland, aside from committing to save the trails, also donates material to many local projects, such as the Fort Lewis College “Sky Steps” and numerous Boy Scout endeavors and schools projects. The BLM’s Tres Rios office said it is still conducting the Environmental Assessment. Gilleland hopes to have the expansion approved by February.